Crypto meltdown or an opportunity? We would like to draw your attention to the latest development in the cryptocurrency market as it’s becoming even more active with the growing interest in trading. It’s difficult to predict cryptocurrencies’ direction, one day the prices go up and then we witness a sudden decline. Many of our followers are coin holders so they don't benefit from the cryptocurrency drop, they only benefit if it goes above the price they purchased it with, While not know whether the prices will bounce back or not, regardless of your crypto position, why limit your self to a long (buy) position only? Why not have the option to short (sell) the position and benefit from the drop? 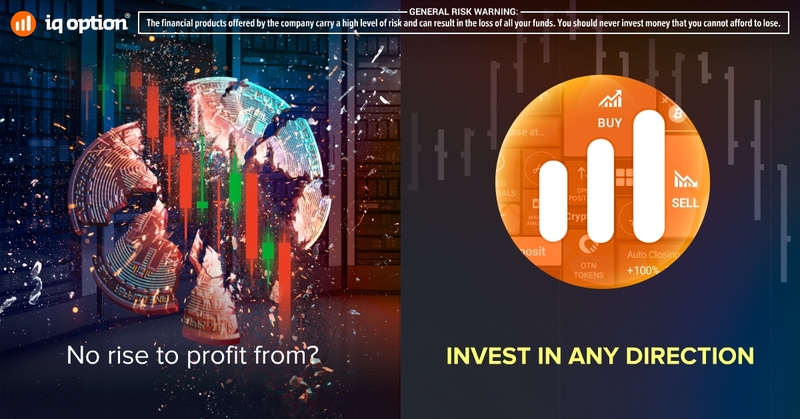 With iq option you can do that, check out their website and try the free demo account to see how it works.